The steel industry is vital to today’s economy. Steel is the backbone of bridges, skyscrapers, automobiles, and things we use every day. 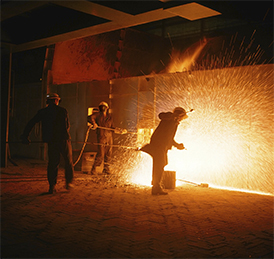 Pumps are used in the steel industry to cool large facilities and other areas throughout the manufacturing process. They are also used in the descaling of steel pieces. See General Pump’s line of industrial pumps for the steel industry.